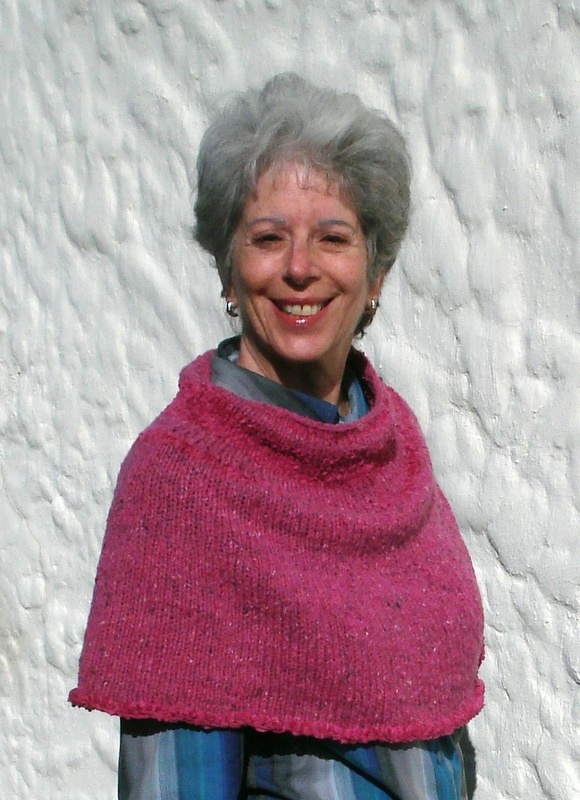 This lovely design, the knit-round scarf, by Sally Melville in her Knit Book has become a classic in the Skein Lane knitting community. 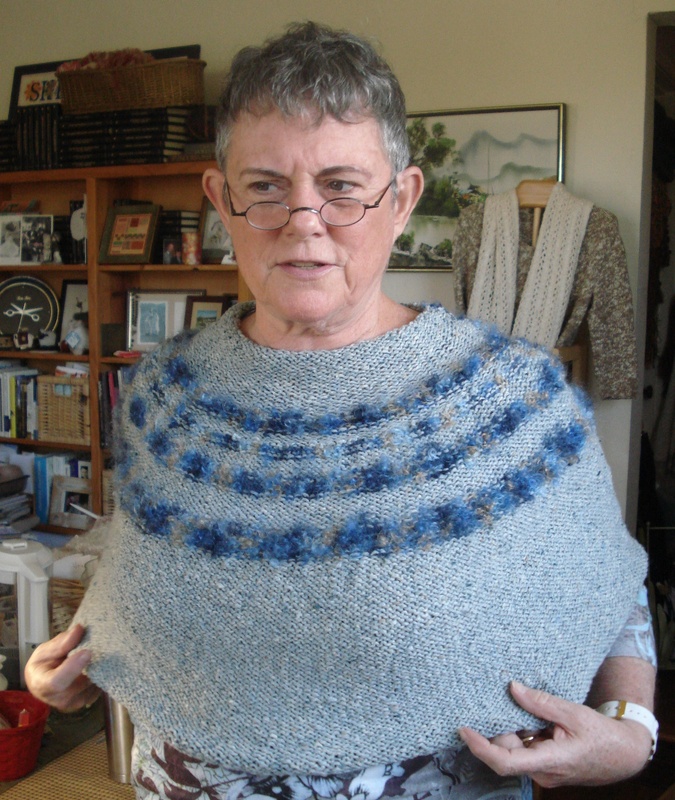 Sally says in her book that the design was inspired by a yoke collar that she admired. 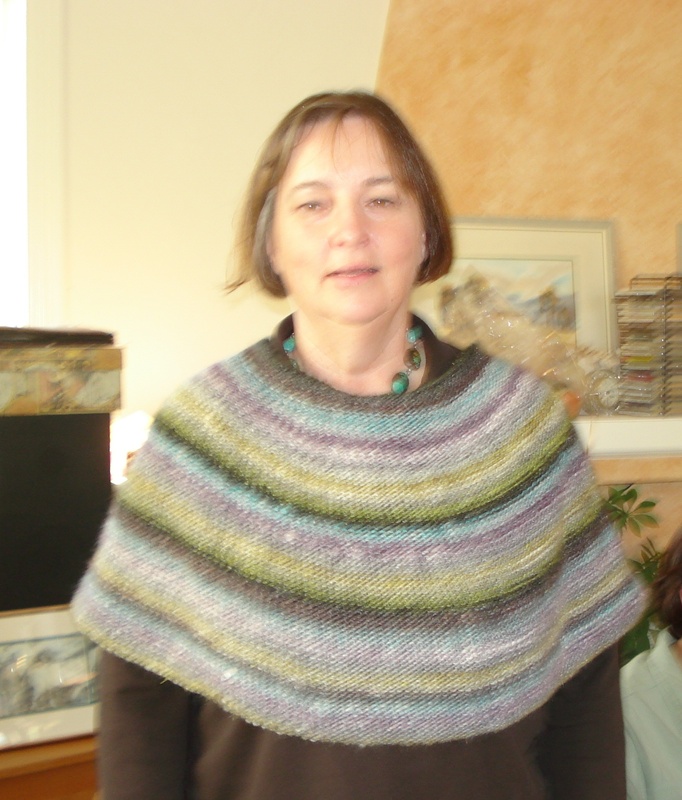 Trish, a newbie knitter, has just finished her first one. Marsha is knitting yet one more as is Diane….she is also using Queensland Collection Kathmandu with a ribbon yarn and beads. Photos coming soon. I am sure there are more of you out there being creative with yarn choices for this wonderfully simple yet elegant design. 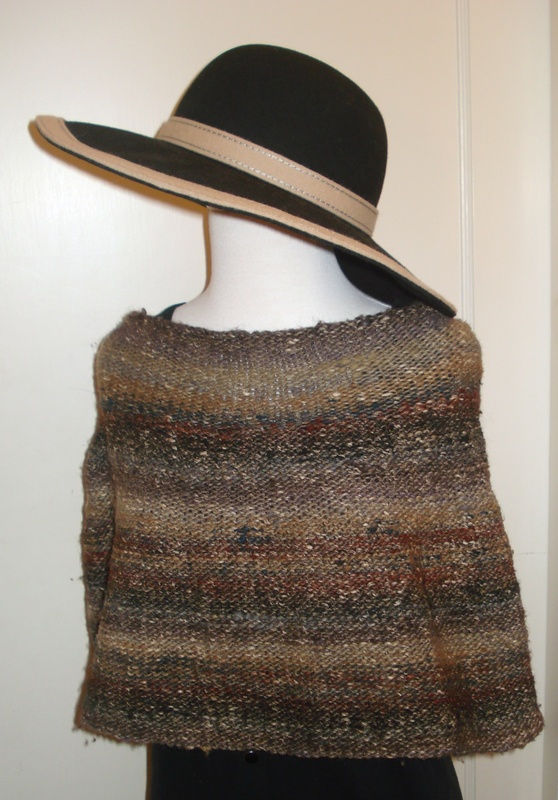 While my three are winter shawls…I do see one in the future that is knit with MaggiKnits linen….which would be a wonderful wear for this Bay Area summer climate. This quick and simple design requires about 350 yards of worsted weight yarn. 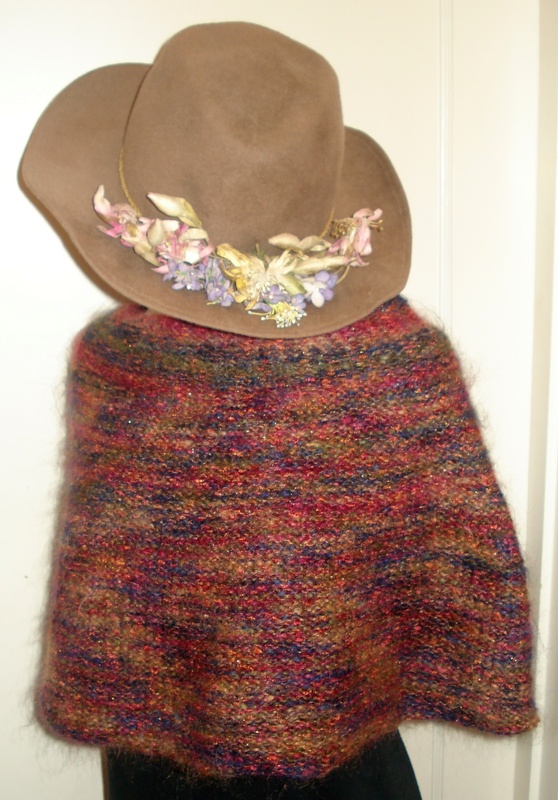 It is all knit…knit in the round thus creating circular stockinette or reverse stockinette…whichever look you prefer. 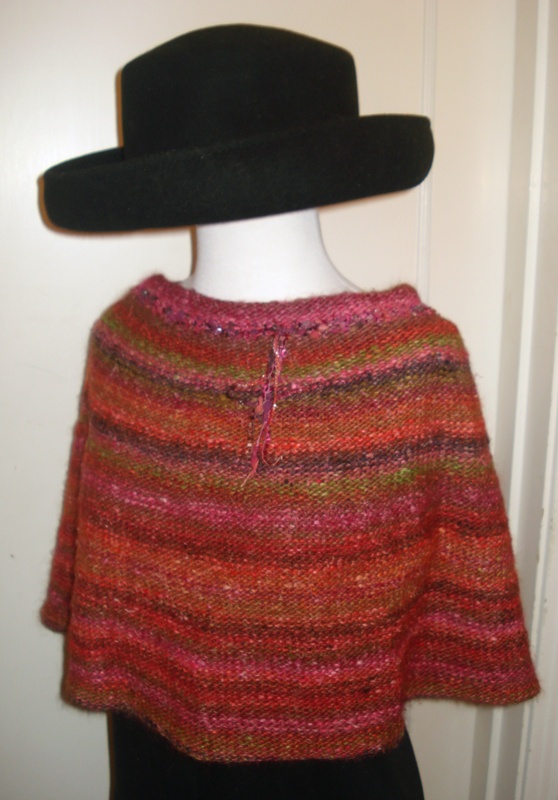 Knit in a Noro discontinued yarn - one of my favorites to wear! How timely a post! I JUST cast-on for a second knitround scarf just the other day! The Donut was my first project around Skein Lane tables, and I wear it all the time. My first one is in some vibrant shades, and this second one is more neutral. Hey Bonnie…can hardly wait to see your next one. Could you send photo of one you’ve done and I will post it. I would love to try this one, to learn knitting in the round and to do something besides a freakin’ scarf! Maybe I’ll ping you Carolyn for deets and pattern when I’m back in August, especially with Noro Silk Garden which we all love so much. Katie….it would be really fun for you to knit! Can you join us on July 31 for knitting at Diane’s?